Have you ever experienced something so moving, that it actually altered the course of your life? As if an invisible magnet was beckoning you to pursue a more satisfying path? I’m not talking about an “aha” moment, where your mental lightbulb sparks to life because you finally realize working a 70-hour week is affecting your health or that you need to invest more time in your personal relationships. What I’m speaking about is much more profound. It’s an experience so enlightening, that the very DNA that tethers all of your personal convictions and beliefs begins to unravel, permanently transforming you into an agent of change. It’s intoxicating. Once it happens, there’s no going back to who you were or what you thought was important. For me, it all began in February of 2018. A few weeks into the 2018 year, my friend, Sean, was approached by his close friend, Johnny, to collaborate on a new marketing and branding project for a cryptocurrency enthusiast and blockchain engineer named Clayton. Although Sean was a marketing and business development guru, this particular undertaking felt like someone placed a Rubik’s Cube in his hand and asked him to solve it with his eyes closed. Crypto-what? Cue the chirping crickets. Sure, we’d both heard about Bitcoin. It was, after all, a popular buzzword bouncing through the stratosphere. But our knowledge on the topic ended there. Executing a successful marketing and branding strategy for a cryptocurrency and blockchain influencer would certainly require a much deeper understanding of the topic. It was time to start learning. Johnny invited us to attend a crypto and blockchain get-together organized by Clayton at a winery in Temecula. The event was open to anyone interested in learning about cryptocurrency and blockchain. In addition to meeting Clayton, we were introduced to a number of speakers – from lawyers and investors to CPA’s and engineers – all prepared to introduce attendees to this highly intimidating world. 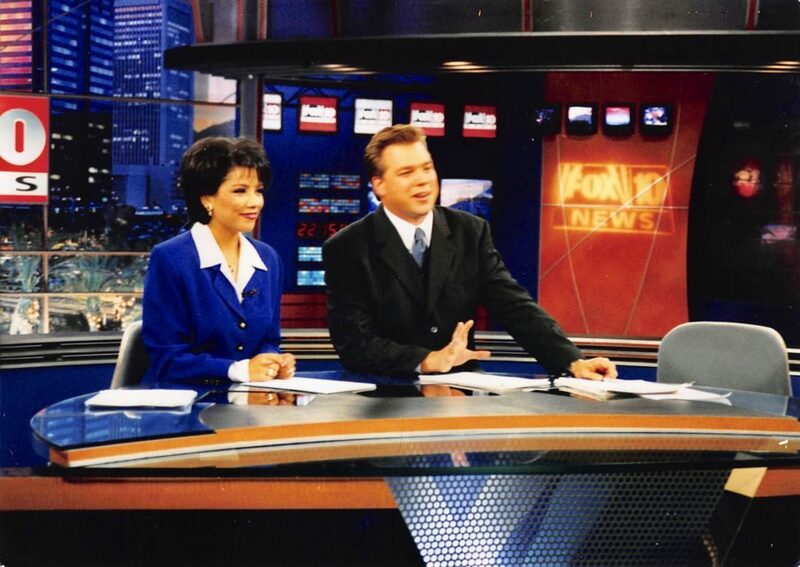 At the time, I was working as a CBS Anchor/Reporter in Los Angeles, and Clayton asked if I would be willing to be the resident emcee for the evening. 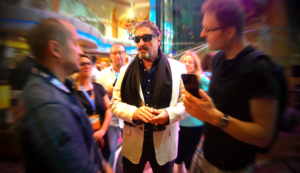 When I arrived that evening, it was to support Sean, electrify the audience’s’ mood and build their anticipation, and introduce the guest speakers. As I sat there drinking in each speech about the power of cryptocurrency and blockchain – and all the ways in which they could change our lives for the better – something unexpected happened: I became mesmerized. Obsessed, even. I felt like a freshly-bloomed flower tasting sunlight for the first time. How could I be so apathetic about the world of cryptocurrency and bitcoin? As a mainstream journalist, how did I fail to notice the impending, monumental paradigm shift that’s about to take place? My eyes darted around the room, scanning the other faces in the audience. Were they also comprehending the significance of blockchain technology, and how it will simultaneously disrupt and improve our lives? The applications of this technology are staggering: It will revolutionize the way we vote, provide a platform to prove and control our identities, allow us to purchase a new home or car, fuel medical progression and improve accessibility to healthcare, and it will even have the capacity to trace foodborne illnesses for the agricultural industry. What’s more, we will become our own “banks.” Imagine: No checking fees. No fees, period. I was immediately overcome with a new, irrepressible hunger to share this world with others. From there, I willingly and deliberately dove into the rabbit hole, and haven’t emerged since. After that life-altering February night at the winery, Sean and I felt a cosmic shift in our operating reality and vision of normalcy. Everyone, including ourselves, needs to learn about blockchain and cryptocurrency. All of our spare time was spent devouring every nook and cranny of information about this technology and what it could do for us. We traveled all over Southern California, meeting with individuals living on the front lines of this world. We participated in scores of Zoom conference calls with crypto and blockchain entrepreneurs from across the globe – all while I was juggling my shifts at the TV station and taking care of my kids. I was on-the-go 24/7. We carried on like this for six months. Our belief in this burgeoning technology ran so deep, that we fully immersed ourselves in this world and vowed to help it become mainstream. Sean pitched the idea of creating an entire show, specifically intended for the masses, around blockchain and cryptocurrency. We were incredibly fortunate to secure funding from a number of investors who were also highly embedded in the future of blockchain and cryptocurrency. Every journalist loves the adrenaline-inducing thrill of scoring an exclusive story. We are especially compassionate about stories that instigate change in legislation, right the wrongs of the world, and supply people with life-changing information long before anyone else. Blockchain and crypto are all of these things. They are my exclusives. Both will permanently change how we live our lives. My goal is to reach as many people as possible and give them the inside scoop on the enormous change that’s already headed our way. Most people see the technical jargon circulating conversations about blockchain and instantly feel confused and alienated, assuming topics like Bitcoin and cryptocurrency are reserved solely for investors, financial specialists, or techies. Because the language feels foreign and indecipherable, it just doesn’t seem real to the general population. I have embarked on this journey to bridge this gap and provide all walks of life with information about blockchain and cryptocurrency that is digestible, relatable, and touches your soul as greatly as it did mine. Even if you’re not involved or interested in fintech, blockchain and cryptocurrency will have implications on both your personal and professional life. Something truly extraordinary is happening and I’m inviting you to take the journey with me. 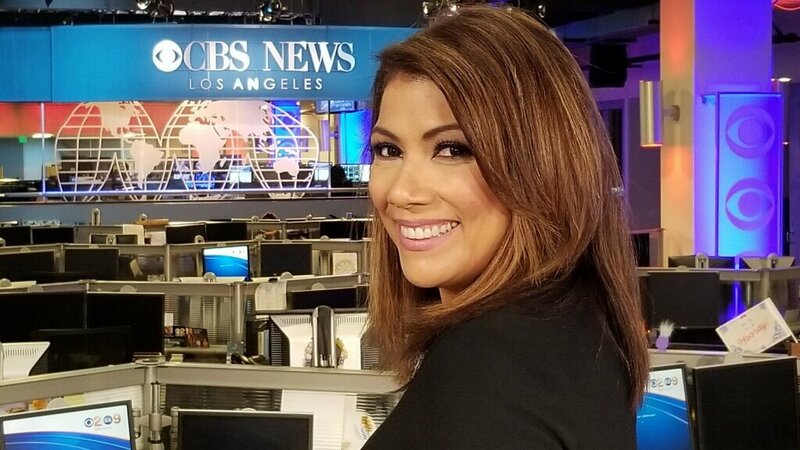 Elsa Ramon Leaves CBS Los Angeles With A Whole New Mission: Cryptocurrency and Blockchain. 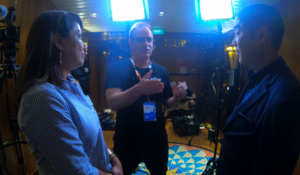 Elsa Interviews Bobby Lee, Early Bitcoin Influencer.